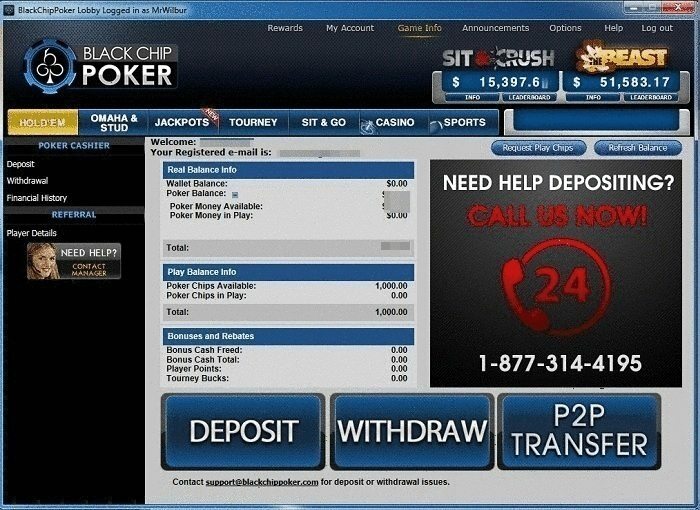 All new players at Black Chip Poker can receive a 100% up to $1,000 bonus offer upon making their first deposit. This means any deposit you make will be matched, up to a maximum of $1,000. A $100 deposit will net a $100 bonus, $250 deposit will net a $250 bonus, etc. 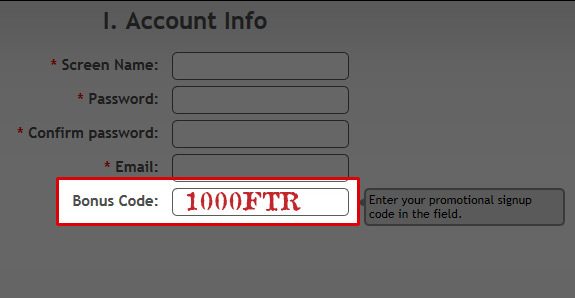 There is no code required when making your deposit, everything is automatic. Note: The minimum deposit to qualify for this offer is $50. Once a qualifying deposit is made, the bonus is placed in a separate account and must be released by playing real money games. This is done by earning Award Points (APs). The bonus is released in $1 chunks each time 27.5 APs are collected. In other words, you will receive $1 of the bonus every time 27.5 APs are earned, until the full bonus amount has been released. This means the full $1,000 bonus would require 27,500 APs. And remember, you don’t have to wait until the bonus is fully cleared, you will earn it slowly in $1 increments. Note: The bonus must be earned within 60 days after the deposit. Any uncleared bonus amount after 60 days will expire and can not be redeemed. As mentioned earlier, collecting APs is done by playing real money games. 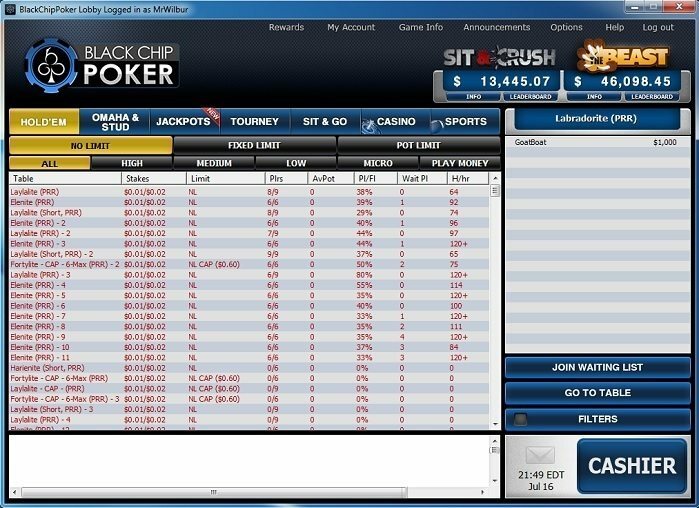 As you play, you pay a rake in cash games or a fee if playing tournaments. For every $1 in rake or fees paid, you will collect 5.5 APs. In other words, if you’re at a cash table and in one pot contribute $1.50 to the rake, you will earn 8.25 APs for that one hand. If you play in a $30+$3 tournament, you will earn 16.5 APs. Partial APs are awarded for rake and fees under $1. 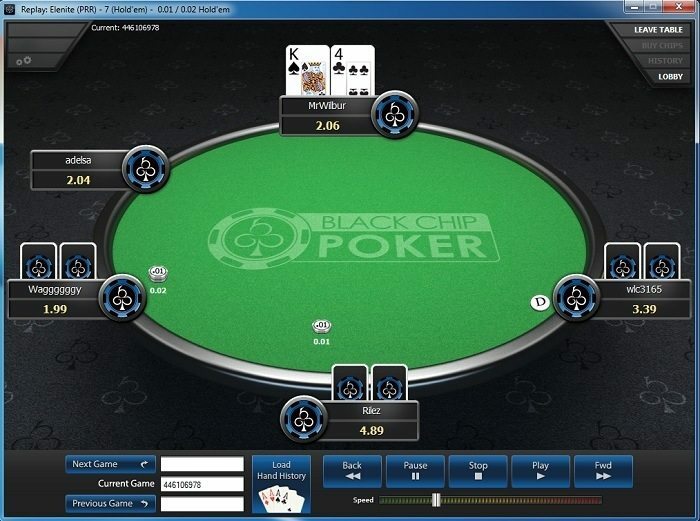 Black Chip Poker makes it easy to track your bonus progress. To see your progress, click on the Rewards tab and refer to the Bonus Progress Bar. This will show all of your bonus clearing details, including how many points are required to finish your bonus. This means every time you pay $5 in rake or fees, you receive $1 of bonus funds. $1 / $5 = 20% rakeback. So overall, you will be receiving 20% of rake paid back into your account. This means you will have to pay exactly $5,000 in tournament fees to clear the full $1,000. If $22 SNGs are your game, it would take 2,500 to clear the full bonus. If you play mainly $50 NL 6-Max cash games, it will take around 110,000 hands to accumulate $5,000 in rake. 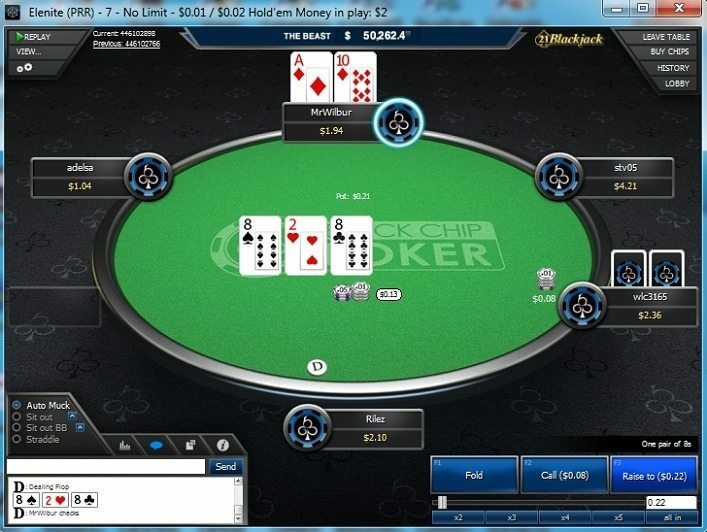 However, rake generated in cash games varies a lot so that number isn’t solid.